This amazingly huge hall was quite sad when I first arrived. 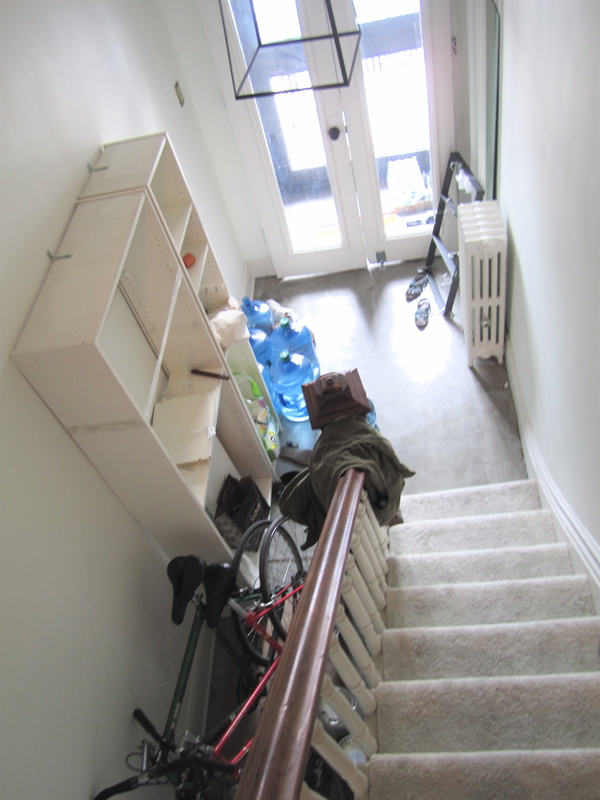 These clients just moved in, and the 2 large bookcases were left by the previous tenant. 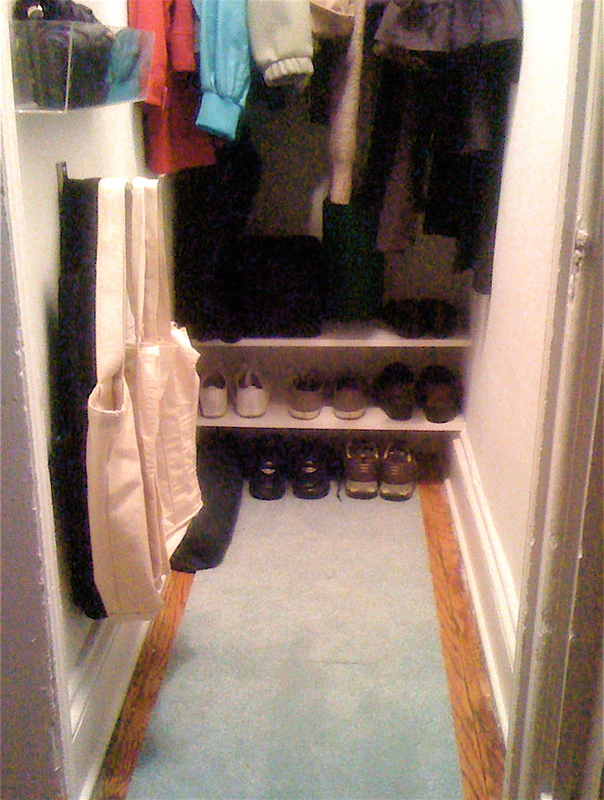 Since this apartment doesn’t have a coat closet I treated the space like a large walk-in closet. 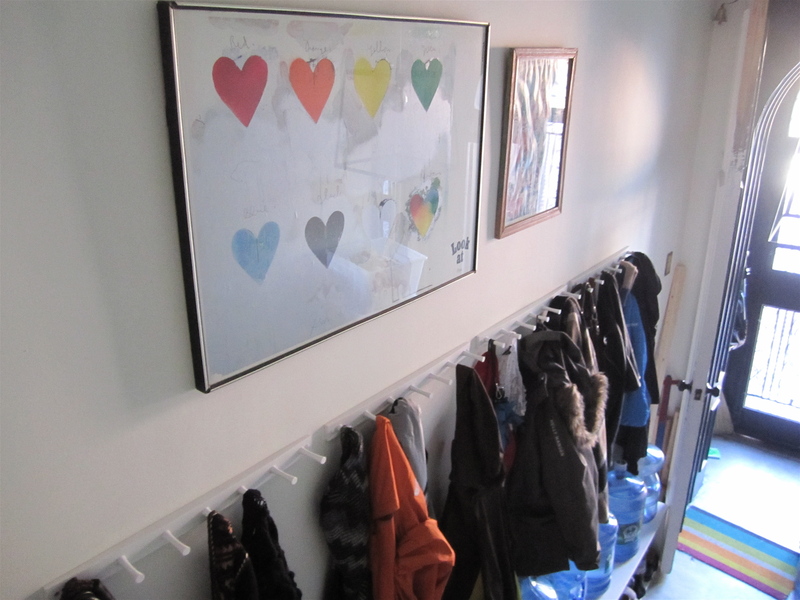 To keep it simple, we installed four 7-peg wood racks and reused the existing bookcases; the wider one is at the end (not pictured) holding hats, gloves, scarves, etc, and the skinny bookcase is now on it’s side along the floor under the hooks to hold shoes and water bottles on delivery day. The finishing touch is the art above. 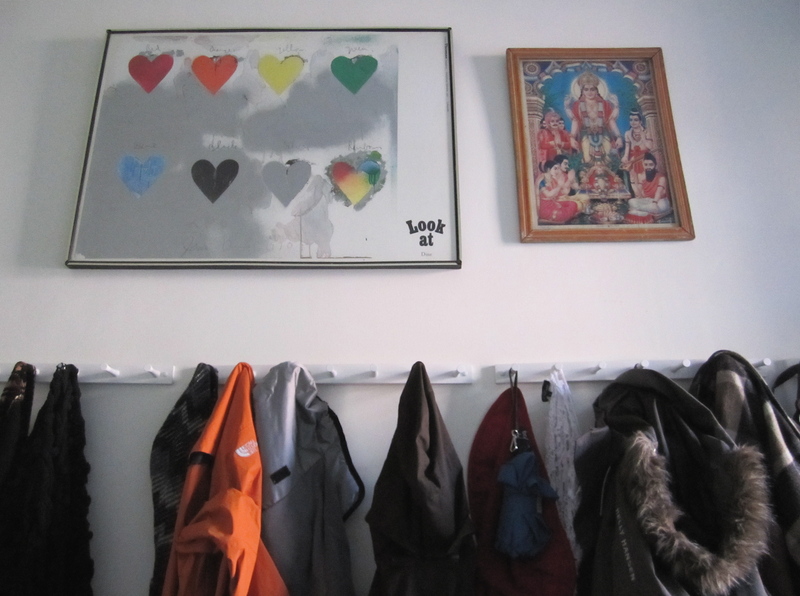 These pieces didn’t work anywhere else in the apartment and are perfect in here. 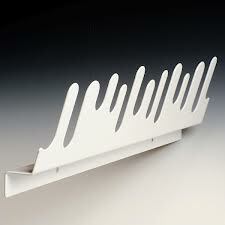 If you don’t have the need or desire for anything fancy, here are some of my favorite inexpensive wall hooks. 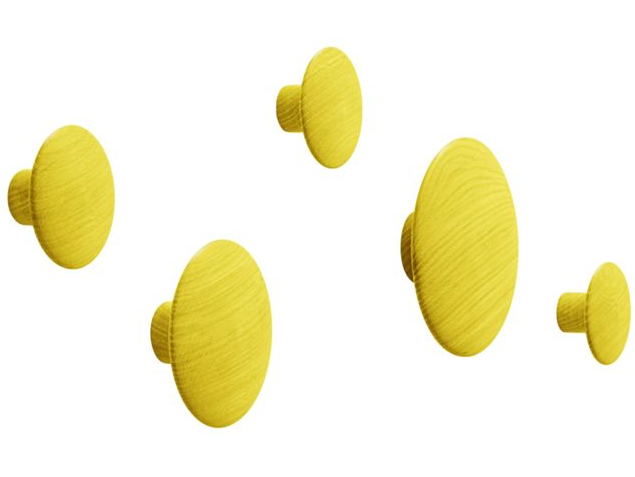 these get hammered directly into your wall. while they cannot hold too much weight (depending on what kind of wall you have) they’re pretty cool. i love how they look in my bathroom. 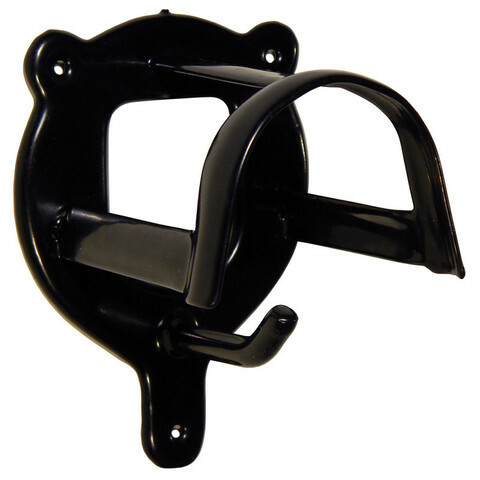 this style hook can be found in almost any hardware store. curved top is perfect for coats with a hook underneath for bags, umbrella, etc. 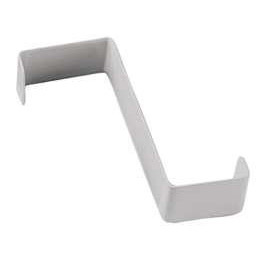 this style hook can be found in almost any hardware store. 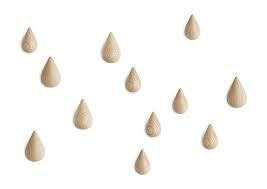 I have them on my front door. 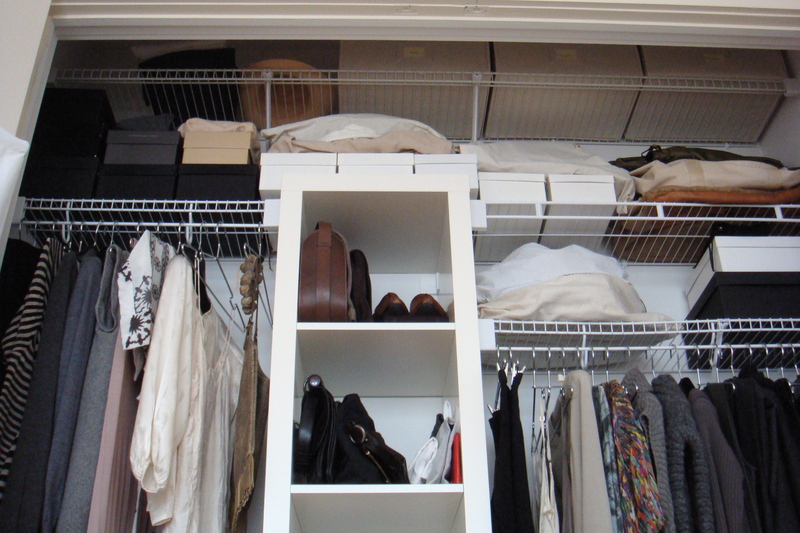 Many people I work with rent and worry about spending too much money on setting up their space. 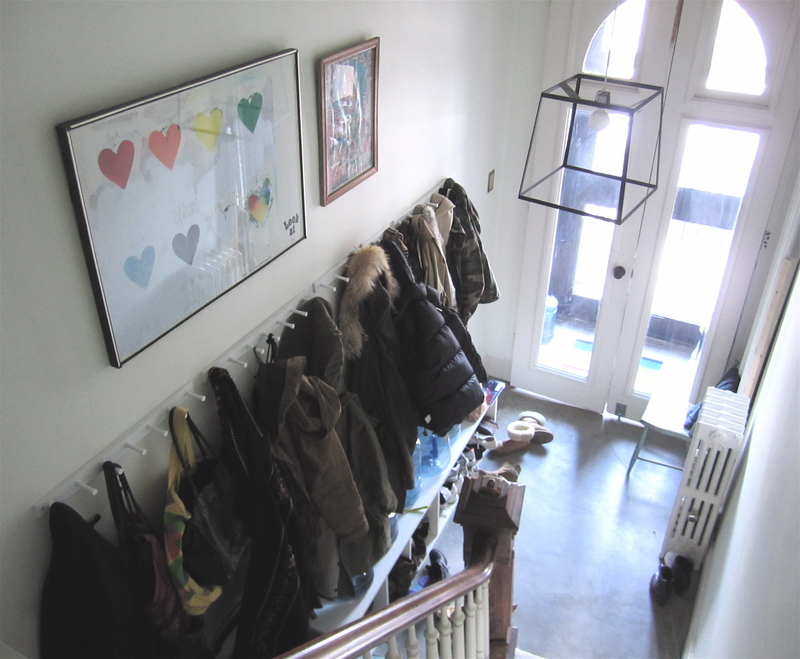 Hooks are a perfect example of how to spend money in a rental; not on big pieces of furniture, but rather on smaller things that you can easily take and reuse in your next space (lighting is a another example). 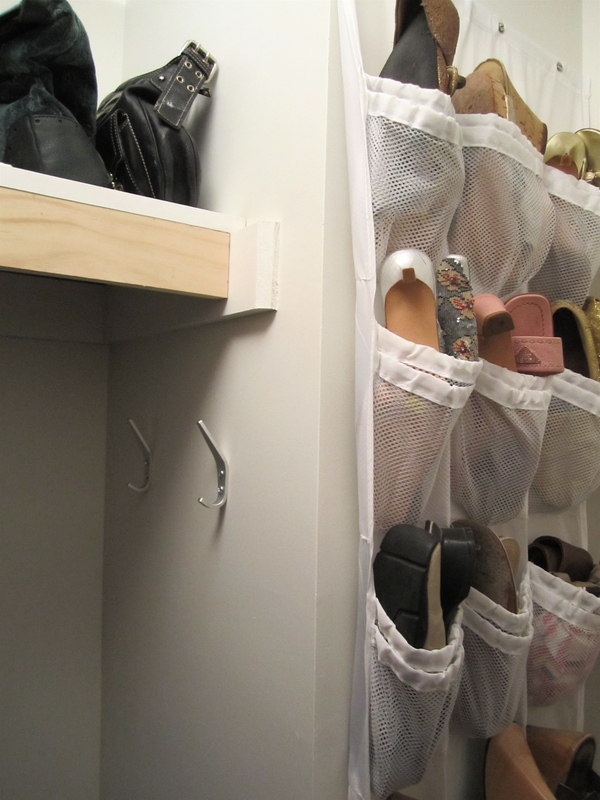 A simple way to not only organize your space but also keep it neat and more functional is to install hooks. 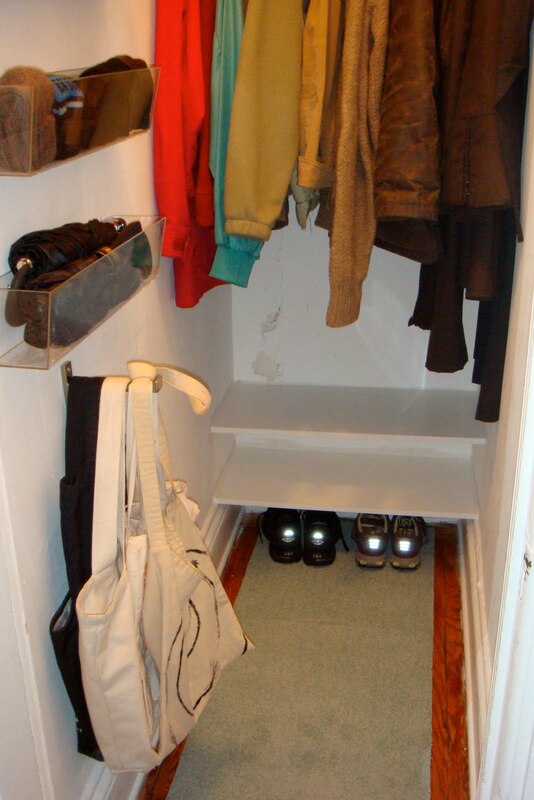 In your entry or near your front door for those without an entry like me, for coats and bags; in the bathroom for towels and clothes that need to be aired out; in the bedroom; behind doors. You may think you don’t need them but once you have them, you’ll wish you had more. 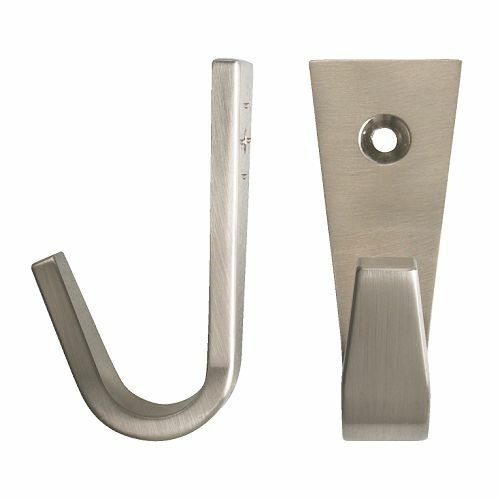 Here are a few of my favorite decorative hooks that aren’t exactly economical but when a hook is beautiful on it’s own why not? 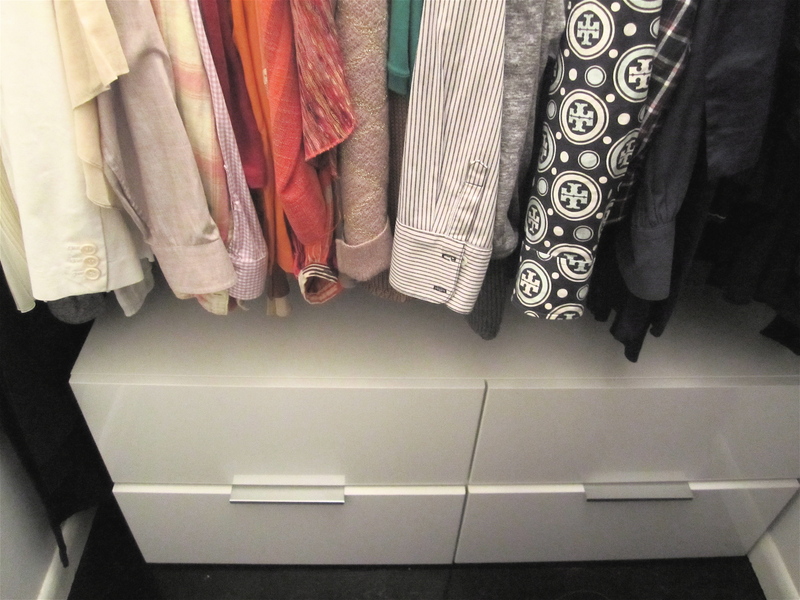 This is actually a progress shot; we need to edit along with a season switch, add a small rug, and put on the handles on the top drawers. But otherwise it’s just about finished…. 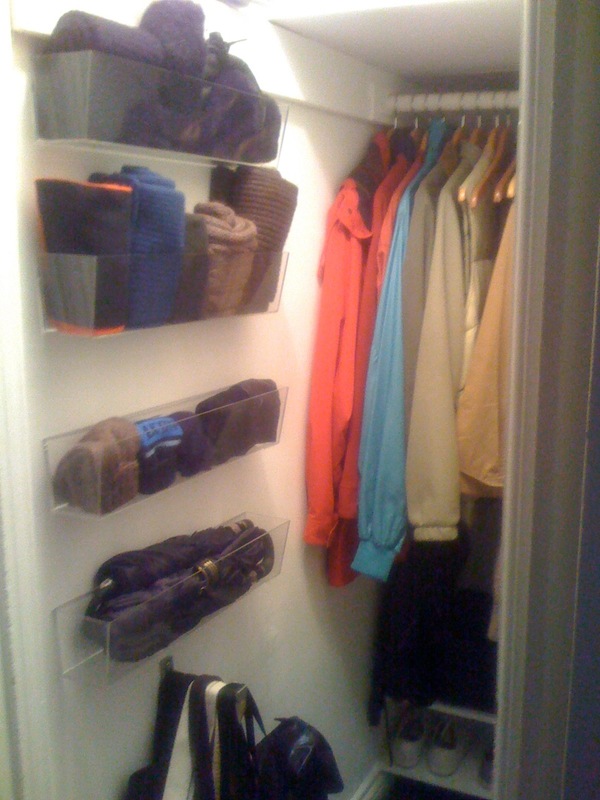 I love coming up with custom solutions for closets that don’t cost an arm and a leg. 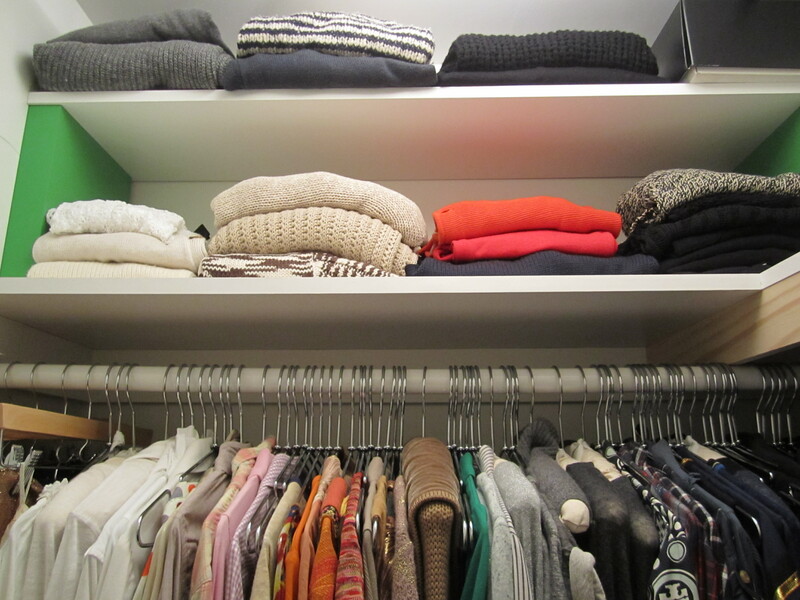 This client came to me because she needed to make room in her 2-bedrm apartment for a new baby (due any day!). 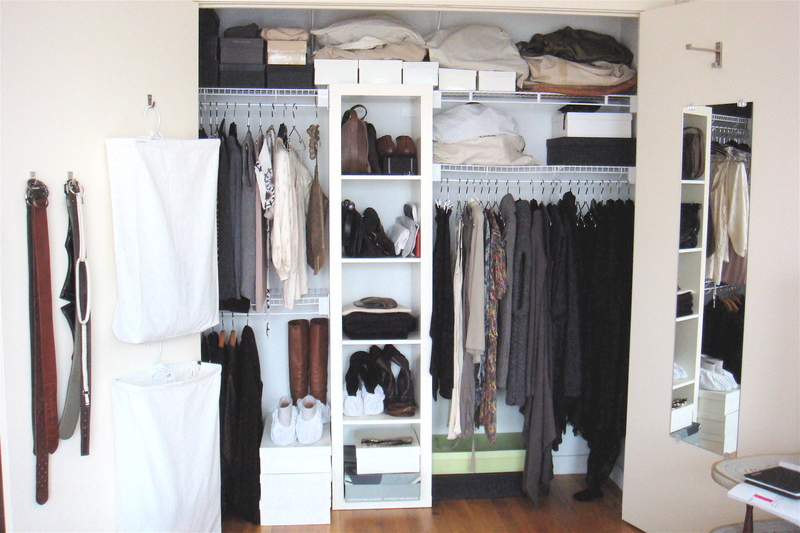 To do that, this closet needed to hold all her current and off-season clothes, shoes, and bags that were spread out in two closets. The existing shelf was moved up to take advantage of the high ceiling. New Rubbermaid FreeSlide Shelves were cut to fit around a new center shelf unit to give much needed additional shelf and hanging space. 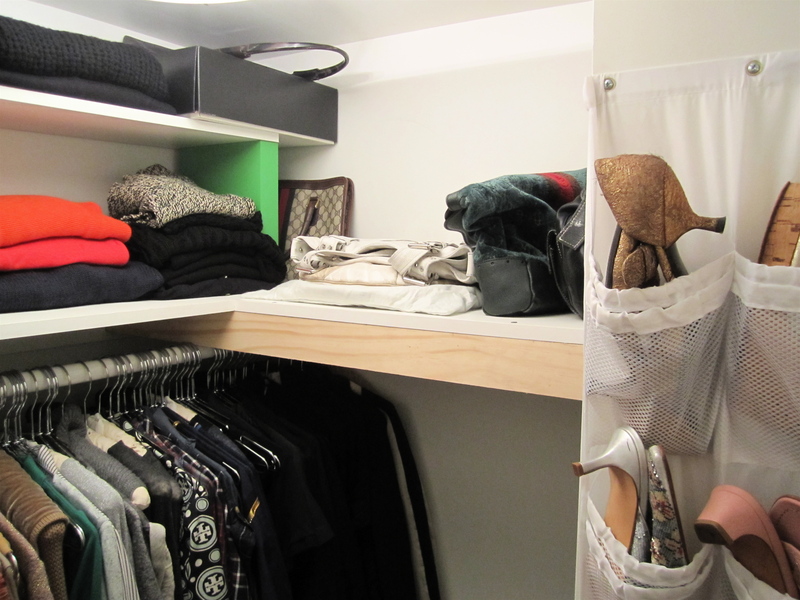 The approximate cost of materials; center shelf unit, new shelves and brackets, valet hook, full length mirror, and small hooks was $200 (not including tax, transportation from lowes to apt, and installation). 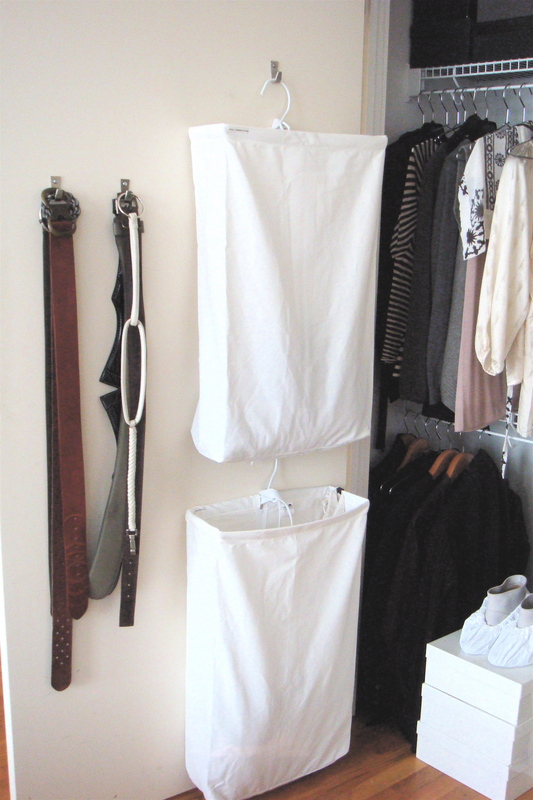 In addition, on sale for 20% off, new metal hangers were bought for approx $190, two hanging hampers separate laundry from dry cleaning and canvas boxes store off season clothes on the upper shelf for approx $80. 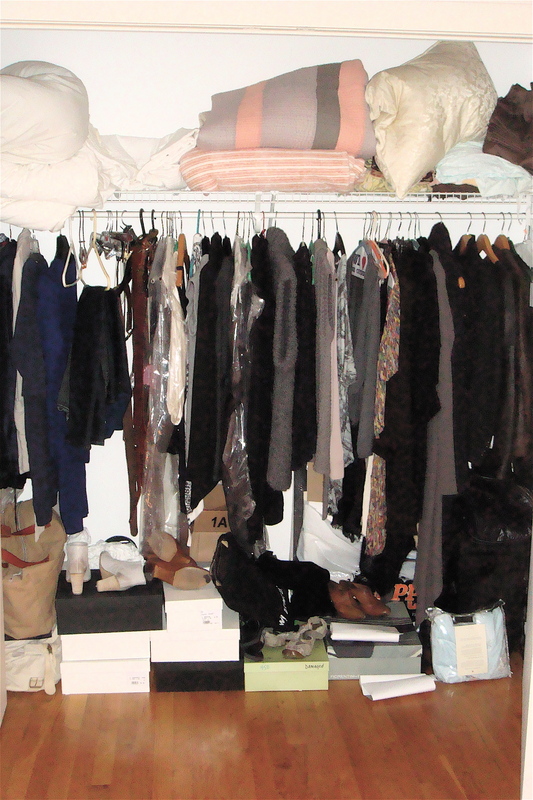 This client has a beautiful collection of handbags, shoes, and boots that she prefers to keep in their boxes and dust bags. 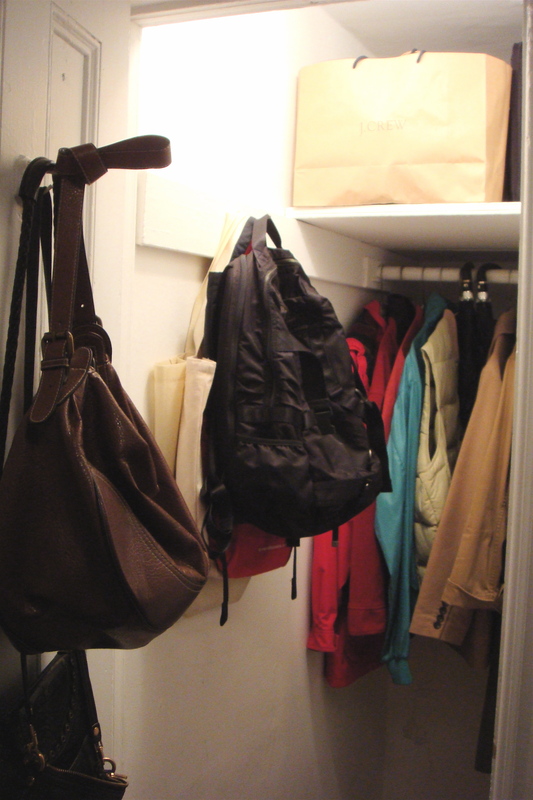 The bags she uses more often are stored on the center shelf. For more pics check out my flickr. 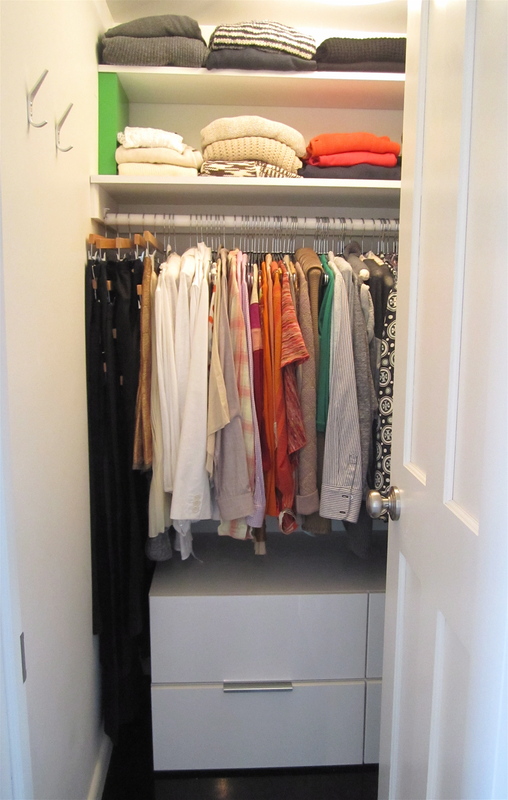 This deep narrow hall closet was a huge annoyance to this client. 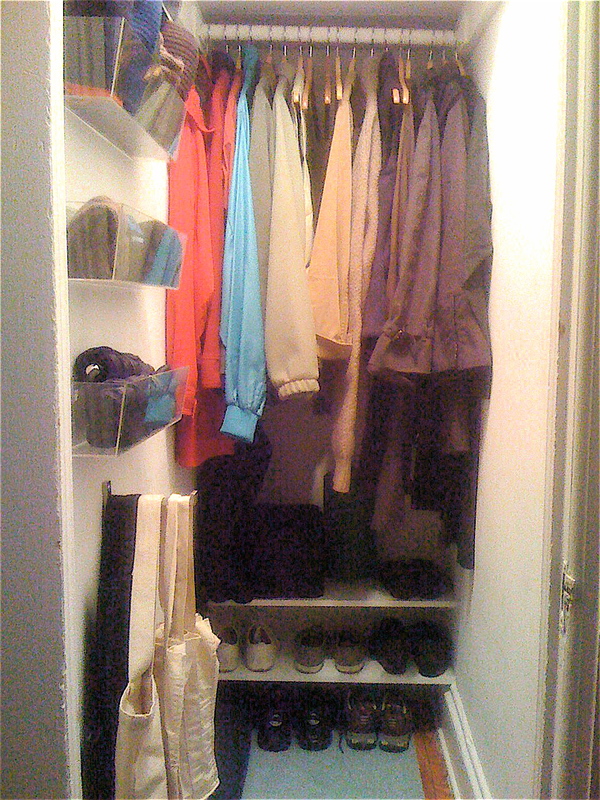 With hooks on the door and both sides it made accessing the back and upper shelves awkward. Things were getting ‘lost’ on the upper deep shelf. 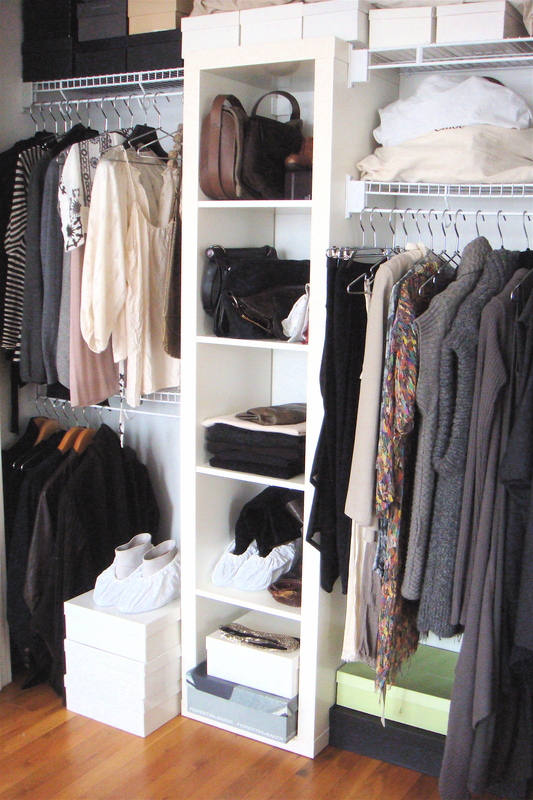 With no storage for small things like gloves and scarves they ended up all over the apartment including in the bedroom dresser. The before shots are actually progress shots taken after we removed everything, edited and relocated a few things to other areas of the apartment. 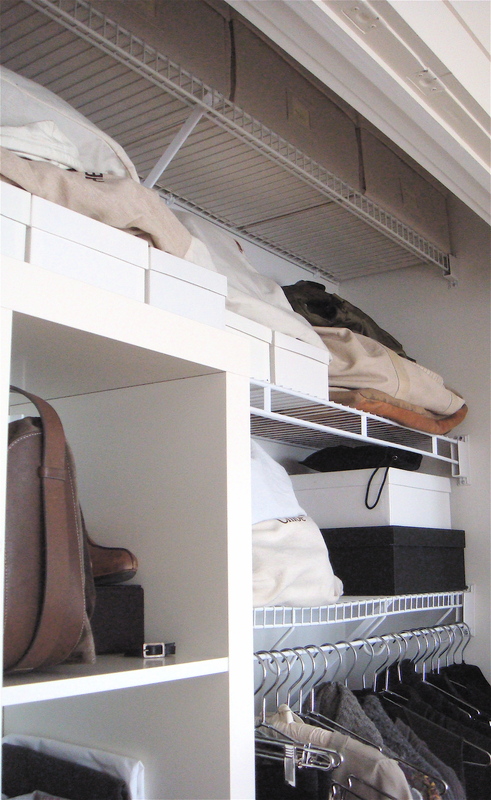 The upper shelf was designated for her suitcases, an extra yoga mat and shopping bags (kept together in the brown shopping bag). 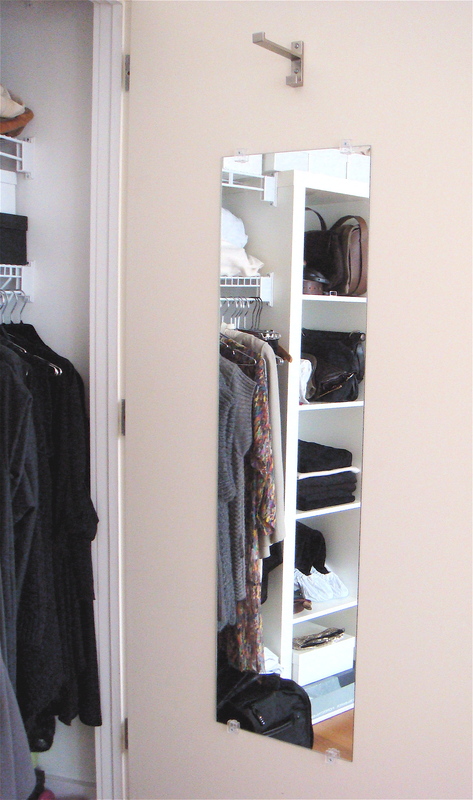 We removed all the existing hooks and installed a valet hook and full length mirror to the inside door. Storage was kept to the left wall to give as much room as possible to get to the back. 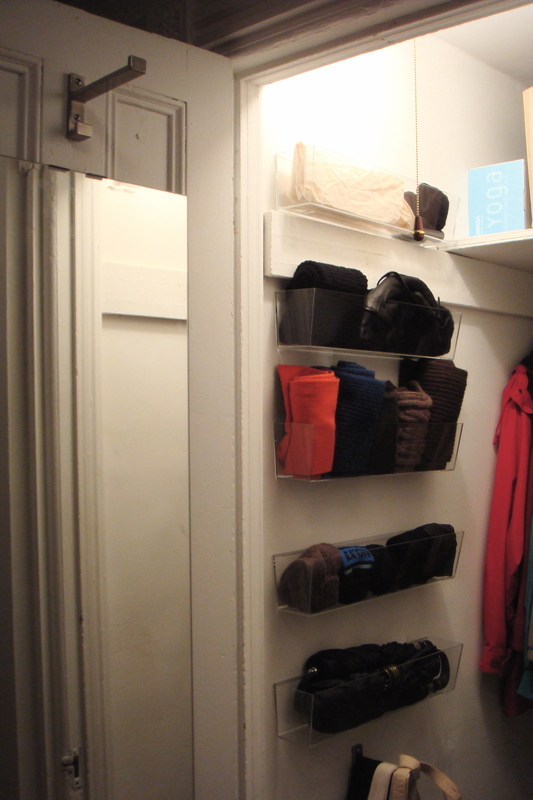 Five clear acrylic bins (no longer available) hold hats, gloves, scarves, and umbrellas. 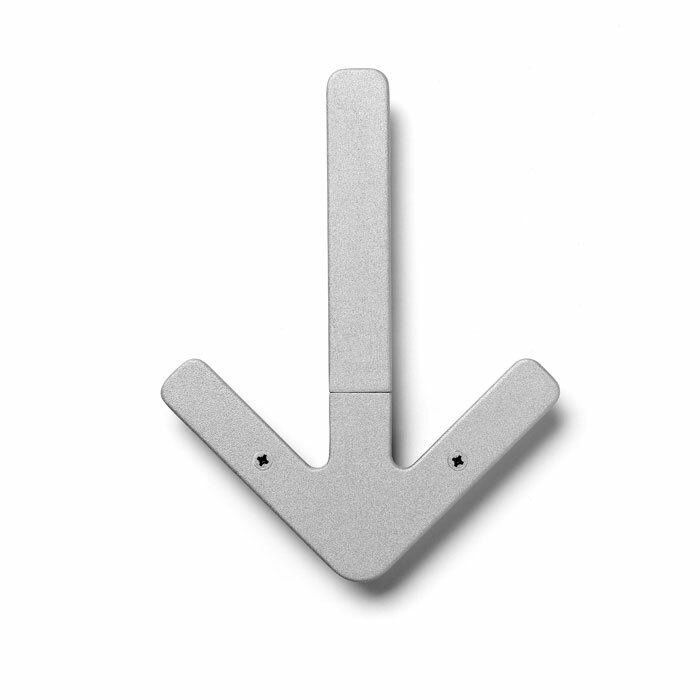 The valet hook on the bottom holds frequently used tote bags. 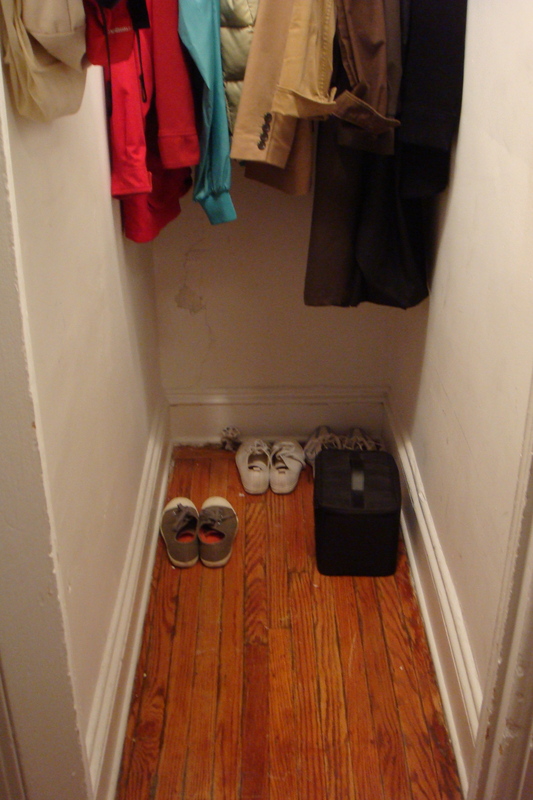 Two shelves (cut to size) hold sneakers (her nice shoes are in the bedroom). A few Flor carpet tiles finish it up.